Is there a better alternative to RapidWeaver Classroom 6 mo Combo? Is RapidWeaver Classroom 6 mo Combo really the best app in Reference category? Will RapidWeaver Classroom 6 mo Combo work good on macOS 10.13.4? RapidWeaver Classroom is a Web-based service that offers a number of registration options. 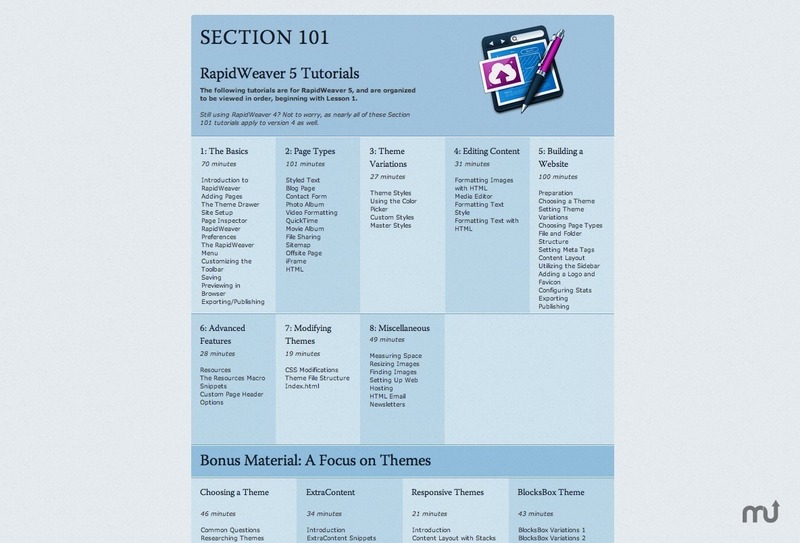 RapidWeaver Classroom gives you access to an extensive library of constantly-updated video tutorials, enabling you to build professional websites with RapidWeaver. Let our 7 years of RapidWeaver experience pass to you, so you can quickly and easily take control of your website! RapidWeaver Classroom is available for a 1-year subscription for $195.97, or a 6-month subscription for $116.97. See here for more information.